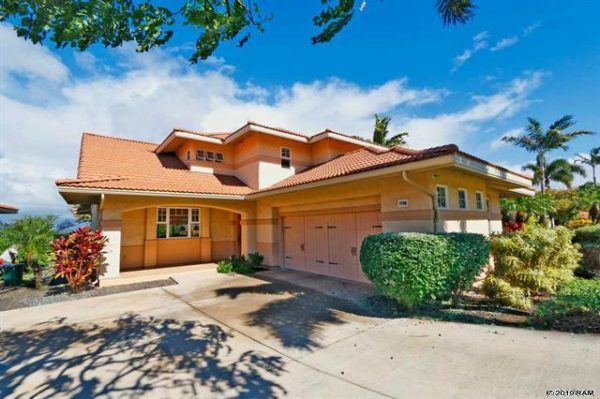 Our latest listing in Kihei’s only gated community is one to keep your eye on. 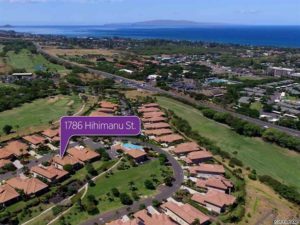 The 1786 Hihimanu Street is a rare offering in Hokulani Golf Villas where all the best elements of the South Maui lifestyle come together. 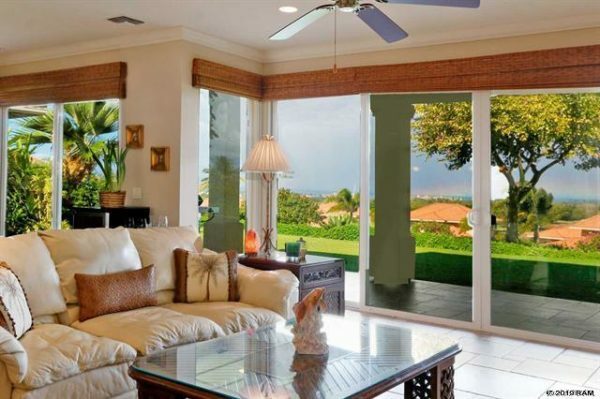 Hokulani Golf Villas 129 sits in arguably one of the best locations in the entire community and can offer expansive ocean and outer island views from the moment you step foot in the home. The outdoor lanais offer an additional 600 sqft of covered lanai space, so total living area easily surpasses 3000 sqft. The coveted 220 floor plan is favored by many for its easy 2 story living with a large kitchen down stairs, spacious living area, 2 lanais (1 upstairs & 1 down downstairs ), 4 bedrooms (1 down stairs and 3 upstairs), and 3 bathrooms. Each of the upstairs bedrooms are blessed with ocean views from each room. To cap everything off, the spacious 2-car garage offers ample space for storing your bicycles or paddle boards/kayaks. 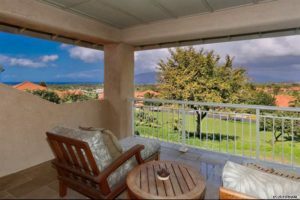 One of the newest additions to Kihei, Hokulani Golf Villas is setting a new standard in South Maui for luxury residential styled condominiums. 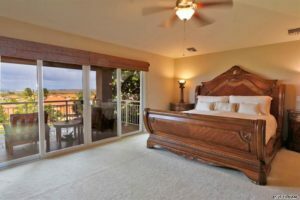 Situated right on the fairways of Maui Nui Golf Club, this community offers 152 home-style condominiums on 40 acres of rolling hills throughout the golf course. Amenities at Hokulani Golf Villas include a massive 66-foot infinity pool, Jacuzzi spa, and a clubhouse with a stunning panoramic views of the Pacific and neighboring islands. Beautiful beaches, restaurants, and shopping are all accessible just a few blocks down the road as well. The year has got off to a fast start for Hokulani Golf Villas where it has already seen 3 closings in the first 6 weeks of the year. Strong production numbers have been aided by the fact that there are still new development offerings as the developers look to close out the sales of their phase 3 project. Some argue that the homes built in phase 2 and 3 are more desirable because of their slightly higher elevation and further distance from the road noise. Aside from location, all homes are built to the highest degree with amazing standard finishes that would be considered upgraded luxury packages in other new development homes. For a better idea of the market, check out our 2018 Hokulani Golf Villas market recap. To get a complete idea of the market, check out our Hokulani sold data. For what you get, the homes here provide exceptional value at around $470-$650/sqft with the smallest home being just over 1800 sqft. 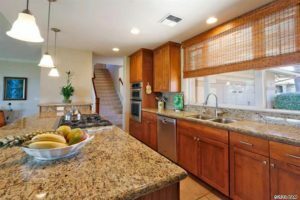 This is also the only gated community in Kihei and is able to offer the ideal blend of single family homes but the convenience of owning a condo. 2018 Hokulani Golf Villas market recap. We have a ton of experience in the community have done over 25 deal in the community representing both buyers and sellers. To stay up to date with the latest trends in the market, subscribe to our Hokulani Golf Villas new listing alerts.